RiboBio Co., Ltd. and GE Healthcare Life Sciences to build nucleotide development and manufacturing facility in Asia. Drugs based on oligonucleotides are attracting attention around the world because of their ability to target disease-specific genes. These drugs are being developed to treat a range of diseases, including cancers, infectious diseases, and genetic diseases. One of those companies is Guangzhou RiboBio Co., Ltd., which was founded in 2004 to focus on nucleic acid-based technologies. The company develops and supplies innovative DNA/RNA, RNAi and miRNA products, as well as provides diverse oligonucleotide related R&D services. RiboBio built the first cGMP oligonucleotide manufacturing facility in China and received a Drug Manufacturing Permit for oligonucleotide API manufacturing from the Chinese Food and Drug Administration. 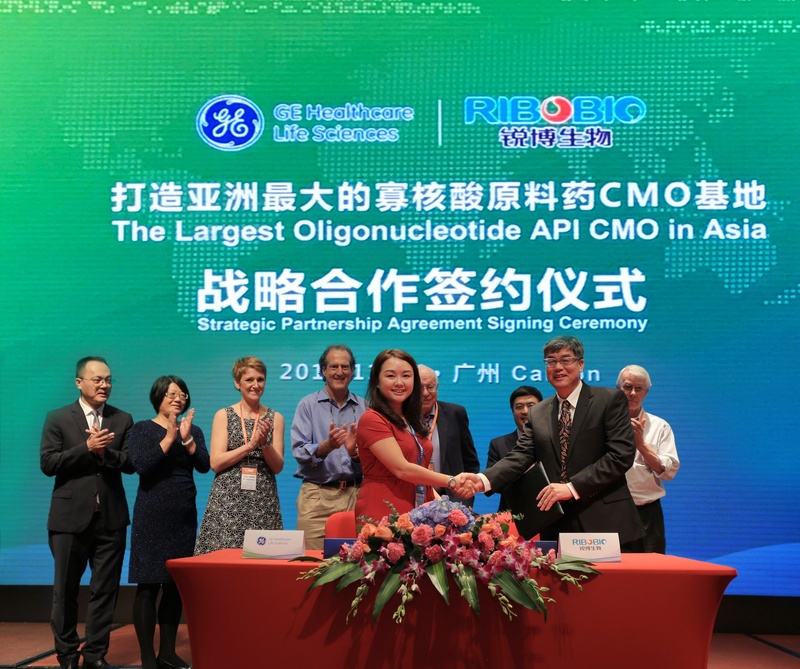 At the recent 5th Canton Nucleic Acids Forum (CNAF) held in Guangzhou, China, RibioBio signed a strategic partnership agreement with GE Healthcare Life Sciences to jointly build in Guangzhou, China Asia's largest oligonucleotide drug development and manufacturing facility. The agreement was signed by Dr. Biliang Zhang, President of RiboBio, and Ms. Shufang Lim, Chief Commercial Director of GE Healthcare Life Science Greater China and was witnessed by three Nobel Laureates - Dr. Tomas Lindahl of the Francis Crick Institute, who won the 2015 Nobel Prize in Chemistry; Dr. Craig C. Mello of the University of Massachusetts Medical School, who won the 2006 Nobel Prize in Physiology or Medicine; and Dr. Richard J. Roberts of New England Biolabs, who won the 1993 Nobel Prize in Physiology or Medicine. GE Healthcare will supply the instrumentation for the new facility, including its new IN Cell Analyzer 6500HS® and Äkta OligoProcess (1800 mmole) systems. The IN Cell Analyzer 6500HS is a laser-based high-content imaging system featuring IRIS confocal technology to optimize cellular imaging for all sample types. A third-generation laser-based confocal imaging system, it is designed for high-throughput, speed and sensitivity and can be used to perform a wide range of high-content assays from basic multicolor fixed-cell assays to the most complex 3D- and live-cell assays. RiboBio will provide new state-of-the-art facilities and support infrastructure, as well as trained scientists and researchers. 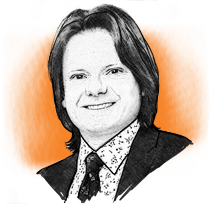 The goal, according to the companies, is to establish leading oligonucleotide drug contract research organization (CRO) and Asia's largest contract oligonucleotide manufacturing operation (CMO). The Strategic Partnership Agreement Signing Ceremony.